If you need a high-performing, utilitarian, and reliable UTV on the job, especially for the trail or regular visits to the woods, KYMCO UXV 500 will come across as the perfect option. 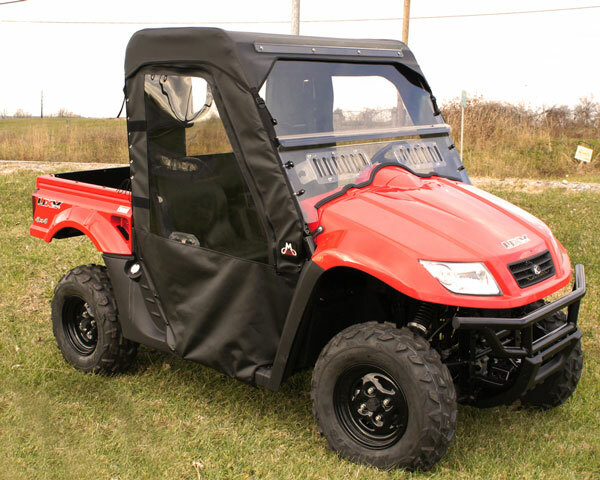 And compared to others UTVs in the category, it is a value option as well. The KYMCO UXV 500 is loaded with a powerful liquid-cooled engine, which is a better version that comes with any model in its category. Other features include automatic CVT transmission, digital instrument display, on demand 2WD/4WD, independent dual A-arm suspension, winch mounting plate, and differential lock to name a few. It is available in three colors - choose any from blue, red, and green. WILL BEAT ANY ONLINE PRICE! FREE UPS Ground Shipping to all orders in the continental US. What real customers are saying!